Includes AMD Wraith Spire CPU cooler with red LED ring! The AMD Ryzen 7 1700 is a processor hailing from the new "Summit Ridge" generation with eight logical CPU cores that, thanks to Simultaneous Multithreading (SMT), are capable of processing two threads at once on each core. This means that the number of processor cores is effectively supplemented by the addition of eight further virtual cores to make a total of 16 effective cores. The 8-core top-of-the-range model functions at a high clock rate of 3,0 GHz per core which, due to the implementation of Precision Boost, performs real-time tuning in accordance with the performance demands placed on the processor. This holds true in respect to both games and applications, adjusting itself on-the-fly in precise 25 MHz increments within the TDP framework up to a maximum of 3,7 GHz. The silicon is lithographed in the advanced 14 nm FinFET manufacturing process with stacked transistors (also known as 3D transistors). This striking reduction in scale has resulted in space being freed up on the processor die, thereby permitting the integration of a total of 4 MB Level 2 Cache and a full 16 MB Level 3 Cache into the centrepiece of the PC. Due to the intelligently controlled cache buffer and thanks to the "Smart Prefetch" jump-prediction algorithms, Ryzen is capable of ensuring instantaneous data access and swift compute performance in all use cases - irrespective of whether the task involves gaming and Virtual Reality or cloud computing and virtualisation. Motherboards equipped with the AM4 socket serve as the foundation for AMD's range of Ryzen CPUs, and they also offer cutting-edge interfaces. The CPU itself possesses four dedicated PCI-Express 3.0 lanes providing compatibility with modern SATA and PCI-Express SSDs in both M.2 and U.2 formats as well as support for the NVM-Express protocol (NVMe for short). A further 16 PCIe 3.0 lanes deliver abundant bandwidth for even high-end gaming graphics cards. Additional PCIe lanes for data storage, expansion cards and peripheral devices are allocated separately, dependent upon the chipset of the motherboard. The new AM4 platform also supports up-to-date external device interfaces like USB 3.1 Gen 2 with Type A and/or Type C connectors and high data transfer rates of up to 10 Gbit/s. The CPU's integrated memory controller supports AM4 motherboards as well as speedy and energy-efficient DDR4-RAM in dual-channel mode with or without ECC error correction. Note: This is the boxed version including an AMD Wraith Spire CPU cooler with a red LED ring. All AMD Ryzen CPUs also require an AM4-compatible motherboard. More links for "Ryzen 7 Eight Core 1700 3.70GHz (Socket AM4) Processor - Retail"
Was originally going to buy the 1800x but then noticed that this is the exact same CPU just clocked at a lower speed so after a very easy overclock to 3.7Ghz it is now outperforming the 1800x at a much lower cost. so i would recommend this over the 1800x and spend the extra money on a good cooler or something. 8-core, 16-thread CPUs used to be only accessible to the high end enthusiasts but I'm happy that normal consumers can get this kind of performance. If you are coming from an older platform like Sandybridge or AMDs FX, Athlon etc. then this CPU upgrade will be a massive step up from what you are used to. The single core performance is quite respectable, but the true value of this CPU comes from its multi-threaded performance which is phenomenal. Video editing and any production work that you might be doing will really benefit from the multiple threads. Gaming wise, heavy games like Battlefield 1 really make use of the threads where as a quad-core might have limited what FPS you get before. As mentioned before, the single-core performance isn't on the same level as the latest i5 and i7s, because E-sports titles prefer highly clocked cores to output as many frames as possible, but playing Counter-Strike and Overwatch, it can achieve more than 144FPS quite easily. If you are going to stream, then this is perfect for that task. Having so many threads means that your streaming program won't be choked trying to encode the stream and run the game at the same time. Especially when the game is CPU intensive. As for overclocking, I took the "lower" power consumption route by undervolting. Right now I leave my CPU at 3.4GHz at 1.1V which is basically as low as I can go without increasing temperatures or power draw too much past the advertised numbers. Kind of against what 99% of what people do, but hey it works. Overall, the Ryzen 7 1700 is a solid purchase and at the time of writing, the Black Friday/Cyber Monday deals makes this CPU a very VERY good choice for a personal upgrade or to recommend to friends. Brilliant Processor, offers a cheap solution (£270 at time of review, I bought mine at launch for £320!) for multi-threaded applications while also providing enough punch for modern games at high FPS. My 1700 is currently at 3.9GHz and 1.32V, the chip runs cool and quiet and does everything I could ask of it without putting up a fight. The AM4 platform also allows for future upgradeability. Ryzen has its flaws, of course, one being the ~4GHz wall for clock speeds, however seeing that this is a new process and that its performance is already unreal for the price, I can't really fault it. Since AMD announced these chips I have jumped back to AMD. Very happy with the result.. I have it paired with the Gigabyte Auros AX-370 Gaming 5 and with the Corsair AIO 100iGTX running Corsair Vengeance Red CMK16GX4M2B3000C15R and the results are spectacular !! Very Happy. Really can't fault this - fantastic return to form from AMD! Mine hit 3.9ghz with minimal effort and is a huge upgrade from my 4770k in multi-threaded apps. Don't let the gaming results put you off - it's more than capable with an overclock (3.8ghz should be doable in the worst case). I purchased this 2 weeks ago with an ASUS CH6 and some team group dd4. I have to say this is a very very fast CPU. I previously had a FX8350 and I was on the fence if I should join team blue for the 7700k. However I am pretty happy with my choice. Getting it to 4ghz isnt a problem but the ram would not run at desired speeds, so managed a 3.880mhz speed with 3600mhz ram clocks stable (performance boost with higher ram clocks is better than lower ram and higher cpu due to the infinity fabric this is based on). This thing runs super cool with my OCUK 240mm AIO (20 - 38c) and the fps increase was impressive, same GPU form previous machine 970 gtx and there was a massive bump in speed. If you have a mixed workload of games and development then I would say this is 100% your chip. Bare in mind you may need to tinker with some OC settings, so if that isn't up your street then think again, but simple OC settings to 3.7 are not a challenge for anyone : See 8PCK you-tube guide and official AMD guide for help. So far I have not seriously needed to overclock this CPU. It just gets better with each Bios update. It will OC to 3.8 easily at a low vcore of 1.33V but I am still with the (very capable) stock cooler and enjoying how quiet this machine is. 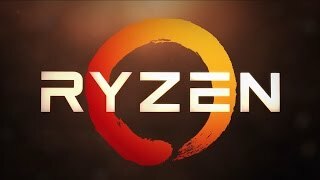 Do not hesitate to jump on Ryzen - get your parts right and it will fly. Left Skylake for this and have no regrets.